I am almost 95% sure that the team at Curleebox have gotten hold of my wish list. They packed the box full of yet another product range that i have had my eye on. I first came across this brand on my shelf browsing in local Superdrug store. I am on a product ban at the moment, as my product junkie ways have left me with no room on my shelves, but there is no harm in looking. 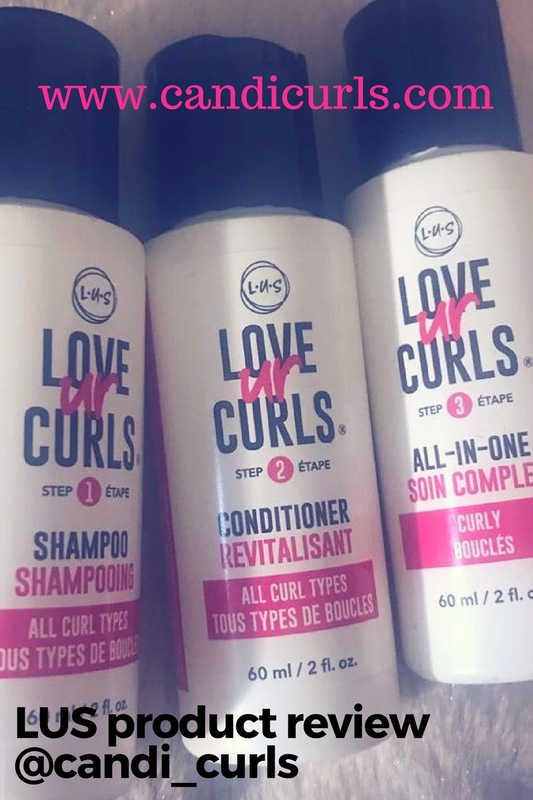 The second time i came across this brand was at the Get my curls back brunch with UK Curly Girl. Shannon had listed them as one of the brands she recommends and liked. Noughty Haircare are a brand who promice their products are 97% natural ingredients. They have different ranges from ones for coloured hair, blonde hair, curly hair, Fine hair, Dry hair, Senstive scalp etc and so can be suited to anyone. "Banish damaged hair, split ends and leave locks stronger for longer. Bursting with super-quenching sweet almond and argan oil"
First off, let me just tell you that THIS STUFF SMELLS AMAZING! Almond oil is one of my absolute favourite oils. Aside from the smell it has many beifits including helping hair to be strong and healthy as it contains vitamin E.
It also contains Shea Butter which is moisturising and Moroccan Argan Oil which smells amazing and has frizz taming acids. I wasn't expecting to love this leave-in as much as i did. As i said in the intro i have only seen this brand once, and heard of it once from a blogger. It isn't a brand which was everywhere, although it is now. As you can see from the above picture, my curls were shiny and moisturised completely. It was really easy to finger comb through my hair and left no sticky residue on my hair. It didn't weigh my hair down and my curls felt so light and fluffy i couldn't stop touching it! There is only one flaw to this product. I feel like the amount you get is not enough. It comes in a 150ml tube, but i think that if you are someone who is going to refresh your hair a lot, then you will need 2 of these (and at £6.99 a tube that is easy) otherwise you will run out. I tried to use this leave-in as the only one for a stretched out wash day, but i found that i was almost half way through the tub already. I think that it is one of those leave-ins that you do find you use a lot of, in comparison to some bottles which i have been using for months and am not half way through yet. Would i buy this product? Yes but i would have to buy it 2 at a time. It is affordable and very easy to find in local store. "Like a knight in shining armour, this intensely moisturising conditioner helps transform dry locks, splits, snaps and that dreaded frizz. Packed with extracts of sweet almond, sunflower seed, shea butter and coconut oil. Its the perfect fairytale ending." The conditioner smells even better than the leave-in conditioner did. It's smell lingers in your hair after washing. I washed my hair with this range and came out of the bathroom and told my fiance "smell my hair" haha he loved it too. My hair was hydrated and supersoft. It has amazing slip which meant my fingers and comb were able to easily glide through, making sure my hair was detangled. It left me with the smoothest hair in a long time. Would i buy this product? Yes i asbolutley loved it. The shampoo was another one which surprised me. I am not a lover of shampoos, but this one i will be using again. As with the rest of this range, the scent of this shampoo is amazing. I found that with this shampoo, i was easily able to finger comb my hair even before adding a conditioner or treatment. It didn't strip my hair in the slightest, but still left my hair and scalp feeling clean. It lathered lightly and was a relaxing wash day with this combo. My hair was left so easy to manage. Would i buy this product? Yes. A shampoo that hydrates and has slip to detangle hair, of course. "Come Charging to the rescue of hair in distress. All the goodness over processed hair needs, with none of the heaviness or build-up. Packed with nourishing sweet almond, restoring black oats and vitamin rich argan oil to help repair and transform frizzy and damaged hair. It's your knight in shining armour." This thick and creamy treatment is everything you could want in a mask. It smells amazing, glides on easily, coats hair fully and leaves it silky soft afterwards. I found that i didn't need to use a lot of this hair treatment, and still got amazing results afterwards. 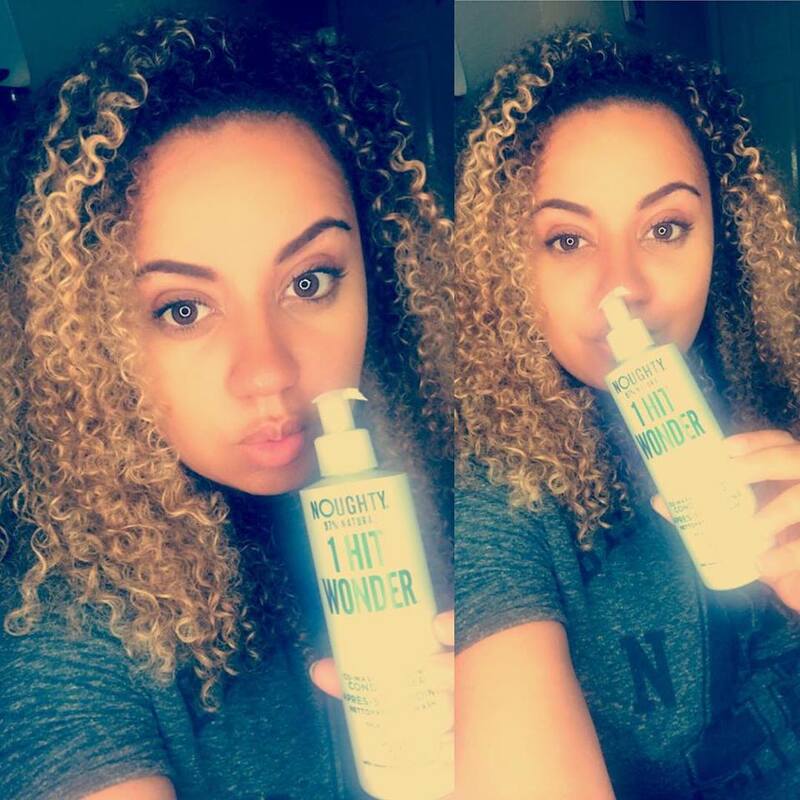 I used this after stretching my wash day out for 10 days and this really helped to bring the curls right back to life. The directions state to leave the treatment on for 3-5 minutes after washing hair and combing it through and that it can be left on for up to 20 minutes for an intense treatment. As it was a stretched out wash day, i left this on for 30 minutes under a heated cap. It didn't dry with a crispy feeling and left my hair coated silky and soft. Would i repurchase this? Again it is another win for me. "This non-foaming co-wash works to absorb excess oils and gently removes impurities without drying or stripping hair. Loaded with sweet almond and castor oil for improved lustre and vitality. One hit is all it takes." I haven't used a co-wash in a while and was disappointed by the last one i used, but this has reminded me why i love co-washing so much! It does exactly what it says on the bottle, and my hair loved it. It leaves hair feeling clean without stripping it in anyway, and if you look at the picture here, i have zero product in my hair. It was washed with this co-wash and nothing else. I felt as if i had done a full wash day (shampoo, conditioner/deep conditioner) but i hadn't. No faults found with this product what-so-ever and i will 100% be purchasing it again. It has become one of my absolute fave co-washes. 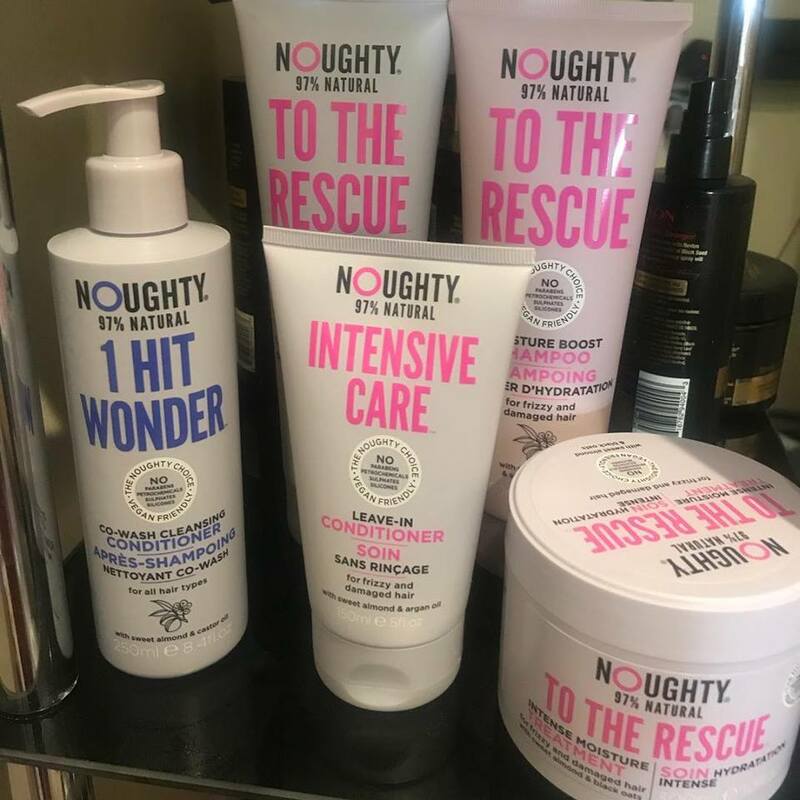 Overall i am in love and impressed with every product in this months box by Noughty hair care. The whole range smells absolutely amazing and i can not wait to try more from the brand. 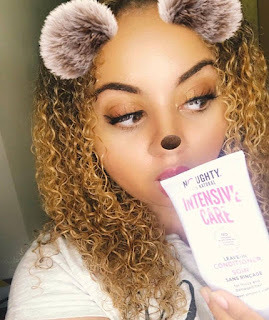 I'm intrigued by the blonde care range and the curls and waves, so expect to see reviews of those products very soon on the website. The packaging of this brand stands out with its strong loud font, and pinky/purply colours. It really catches the eye when it is on the shelves in stores and the fact that it is 97% natural and they promise not to test on animals, makes it even more attractive. Have you tried anything from this brand yet? Have you signed up to CurleeBox? Follow myself and the brands below by clicking on their handles.